Spring is in the air, with perfect weather for enjoying your own homemade wines and cheeses. Make your own colored mozzarella "easter eggs" and sip a homemade pinot grigio while you ponder what to plant in your garden this year. This year there will be a Homemade Wines AND Homemade Cheese contest at the Del Mar Fair! Details on entering your homemade wines are online here. More information about the Homemade Cheeses contest will be available soon, check the fair's website or our Facebook page for details. 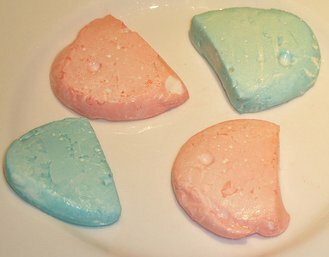 Make something fun and special for your Easter celebration this year -- mozzarella "Easter eggs." Use our One-Hour Mozzarella & Ricotta kit to make your own mozzarella in less than an hour. Mix food coloring into the milk before setting it, or put the food coloring in brine with a little vinegar to make several different colors of "eggs." Put the "eggs" in a spring green salad for a fun Easter brunch, served of course with homemade sparkling wine mimosas! Now in stock at Curds and Wine: super industrial-strength Heat Resistant Gloves in medium and large. Great for pulling your hot mozzarella curds! In association with San Diego Amateur Winemaking Society, Curds and Wine will be hosting bi-monthly home winemakers' seminars. These seminars are held every even numbered month on the third Saturday at 1 pm. Seminars are given by Lum Eisenman, a winemaking guru that we are lucky to have in the San Diego area. 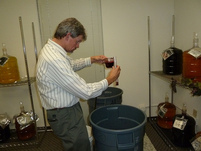 Lum will share his expertise on various winemaking techniques and issues. This month Lum will give "Hints for Small Producers." These seminars are free, but limited to 20 people. If you are interested in participating please RSVP here. The last limited edition releases for this spring arrive this month! We have the Spanish Matador Trio Red from Winexpert as well as Cellar Craft's Sunset Ridge Vineyard Red Mountain Trio, a blend of Syrah, Cabernet Sauvignon, and Merlot. We will email you when these kits arrive if you pre-ordered them already. If you did not and are interested in any of these special wine kits, please contact us, we do have a few extra Cellar Craft kits ordered. Please note, these kits are for in-store pick-up only! Just in time for summer sipping, two new Island Mist flavors for you to try! Both kits will be available at Curds and Wine for $63.90, contact us to reserve yours today! 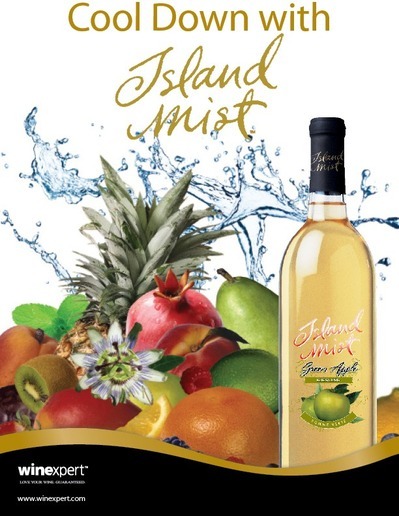 Island Mist Pineapple Pear Pinot Grigio leaps out of the glass with juicy sweet pears, succulent, ripe pineapples, and a bright and flowery fragrance. Firm acidity from the Pinot Grigio gives it mouth watering juiciness and a refreshing finish. Sangria Zinfandel, a sweet and easy-drinking summertime wine punch, is a medley of seasonal fruits that can now be enjoyed year round. Your nose will be enlightened by scents of orange, lemon and lime that will marry with cherries on your tongue to create a sensational sipper that balances sweet and citrus flavors. A great brunch beverage!